There's nothing that will punch up the flavor of a cocktail like a flavored simple syrup. When a cocktail recipe calls for simple syrup you can add a flavored version and boldly or subtly change the flavor profile of the cocktail depending on how much or how little you use. Unflavored simple syrup is made by simply heating equal parts of sugar and water together until the sugar dissolves, allowing this to cool and then bottling. Rich simple syrup is a 2:1 sugar water ratio. A flavored simple syrup is just as easy and has way more cocktail panache. HERB FLAVORED SIMPLE SYRUP (Heat process method.) Tools: Medium saucepan, fine metal strainer or sieve and/or cheesecloth, sterilized storage bottle or jar with lid, funnel. Add your sugar then cook on medium, stirring occasionally, until the sugar dissolves, DO NOT BOIL. Remove from the burner immediately and let cool, if you overcook or boil the sugar water your syrup will form sugar crystals. Strain through a sieve into your sterilized jar. Your infused syrup will keep in the refrigerator for about 2 weeks up to a month. I hear if you add an ounce of vodka or a vitamin C tablet they will keep a bit longer. ** Rich simple syrups can last up to 6 months. Keep in mind that using fruit juices as your syrup liquid could affect shelf life so check for mold or just make as much as you will use in a week or so. I will often make just enough for the cocktails I'm serving that day. This heat method also works well for citrus zest syrups. 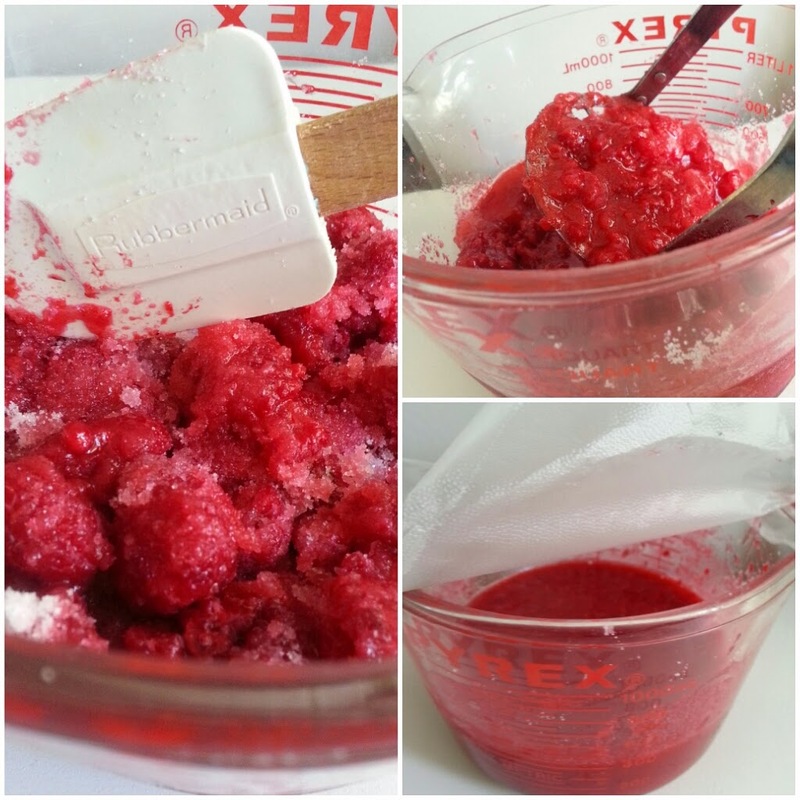 For the actual fruit I prefer the cold process recipe below but this heat process will work if you're in a time crunch. HOWEVER, you do need to simmer the fruit until it breaks down, not just until the sugar dissolves. This means standing over the mixture to make sure it doesn't burn or boil. Frankly, the cold process for fruits is easier, not to mention superior in taste. When I substitute a fruit juice for the water I reduce the amount of sugar because reducing fruit juice intensifies it's sugars. For sweeter juices I use no added sugar at all, for more tart or sour juices I reduce the sugar to quarter cup or less. Reducing the sugar requires that you simmer the herb infused juice instead of just heating until the sugar dissolves (because there's little or no sugar to form the syrup except that in the juice itself!) I simmer on low, stirring occasionally, until the liquid is reduced to the viscosity I want, usually half the liquid volume. Keep a close eye on the reduction because once it gets to the syrup point it can easily turn to molasses or even burn. Test it by taking a spoonful of syrup and dropping back into the pan. When it's ready, take it off the heat, cool it and bottle. Try some combinations! Apple juice with tarragon, strawberry juice with basil, blackberry juice and thyme or raspberries with rosemary. You can even add spices like cinnamon, star anise or saffron. With the spices, just do an additional strain through cheesecloth to remove the finer sediments. Different types of sugars like Demerara, Turbinado (both raw sugars) or brown sugar are a nice way to change it up as well. Think how great my Mint Simple Syrup would be for sweet tea. 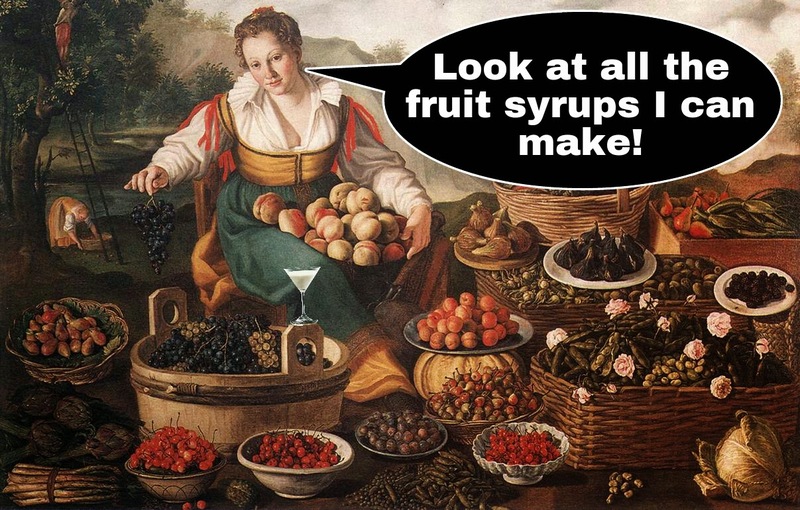 Yes, you can also make vegetable syrups! Use your imagination, the sky's the limit as long as the flavors pair well. FRUIT SIMPLE SYRUPS For Fruit Simple Syrups I use a cold process technique instead of heat. A cold process brings out more of the fruit's natural flavors and, because of the 2:1 sugar ratio, lasts longer. It's a bit more complicated than the heat method but not by much. Tools: Mixing bowl, potato masher, large strainer or sieve and/or cheesecloth, quart size jar with lid, storage bottle or jar. Add your chopped fruit and sugar to a mixing bowl. Smash it all together with your potato masher and let this sit for an hour. After an hour, smash it all up a little bit more and let it sit in the fridge for another hour or even overnight. Smash it up again. Pour this mixture into the quart jar, add the water and then shake like a madman until the sugar completely dissolves. Let this sit in the fridge for a bit (overnight is best) then shake it up again. Strain again if small seeds are involved (berries come to mind), this time through cheesecloth. You're all done now and, if you add a tablespoon of vodka, this syrup can last longer in the refrigerator. Like the herb simple syrups above, try some fun combinations. THINK THAT'S A LOT OF SYRUP FOR A COCKTAIL OR TWO? 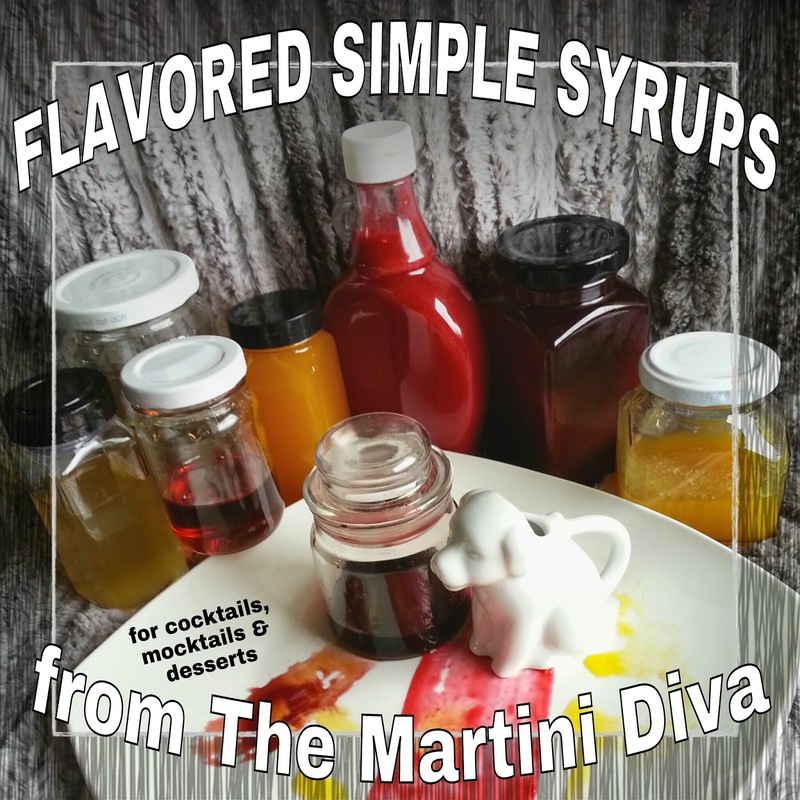 Flavored syrup is not just for cocktails! Pour it on ice cream, pancakes, pound cake, use it as glazes for meat, add it to salad dressings and even tap a bit in rice. Your flavored simple syrup will be long gone before it's shelf life is up. Heck, you'll probably be doubling your recipes after the first one disappears. Here's a nice article on the variety of cocktail syrups from Imbibe. ** If you want, you can freeze your syrups into individual servings in ice trays for longer shelf life! They don't freeze completely (because of the high sugar content) so use silicone trays which make it easier to pop out the individual servings.